Eating locally is a vitally important way each of us can contribute to a more sustainable community and food shed. Based on the Permaculture Zone Principles, charted in a bull’s eye pattern, each circle represents sustainable ways to access food in our own communities. According to these principles, it is best to grow our own food in our own backyard first. What we can’t grow ourselves, we can acquire at local community gardens and small farms or by supporting local farmers markets. We can then support area businesses which are purveyors of local foods. Finally, only when we simply have utilized all of our local resources, then we visit the chain supermarket to complete our food needs. This mindset offers a creative insight into how our thoughts about food need to shift a little in order to truly be invested in the local foods movement. To support local farmers means that you are actually helping a farmer and his family to survive. Perhaps you are helping to pay the operating costs of his farming operation; maybe you are helping their children go to college; perhaps your money is buying seeds. Whatever the case may be, knowing that you are supporting the livelihood of an honest hardworking entrepreneur is more satisfying and more human than lining the pockets of CEO’s of major corporations. The support of farmers first shows the dedication to immediate community. This act of supporting local is actually helping to strengthen the economy within a specific radius. Also, Young farm families are true stewards of the earth. They care about the soil, the air and the water. 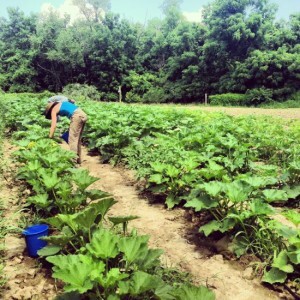 Join a CSA Farm: CSA Farms (Community Supported Agriculture Farms) operate as a subscription farm. Shareholders or members pay up front to help the small farmer with seed and operating costs. Members then receive a weekly share of the seasonal harvest grown throughout an allotted period of time, typically 26 weeks. The shareholders share in both the risks and the benefits with the farmer. Shop at your local farmers market: Farmers Markets offer weekly (sometimes bi-weekly) opportunity to purchase fresh, locally grown produce at reasonable yet fair prices for the farmers. Fruits and vegetables sold at farmers markets are typically harvested within a few days of purchase and are at their peak flavor and freshness. Typically the farmers who grow the produce are the ones selling it at the market so it gives customers an opportunity to meet and shake hands with those who grow their food. Farmers markets offer the opportunity to purchase pasture raised meats and fresh eggs. Ways to help localize the food shed: Learn about Permaculture as a global solution to the environmental/social/economical issues relating to food. Permaculture Gardens utilize the existing landscape and produce food in harmony with each specific ecosystem. Permaculture gardens focus on no till methods with an emphasis on soil health, water preservation, companion planting, and permaculture food forests. Start your own container garden or square foot garden to ease you into the art of growing food. Container Gardening is easy and affordable and offers a basic introduction to backyard gardening. Container gardening requires very little space and is low maintenance. Container gardening is perfect for busy individuals who wish to grow their own food. Start your own backyard garden. Backyard gardening is easy and requires only a small amount of time and energy, especially when creating raised beds which require very little weeding. Wicking beds offer a low maintenance alternative. Wicking beds are low cost low maintenance garden beds which are composed of reclaimed materials. Backyard gardens attract pollinators and offer food for the entire family. 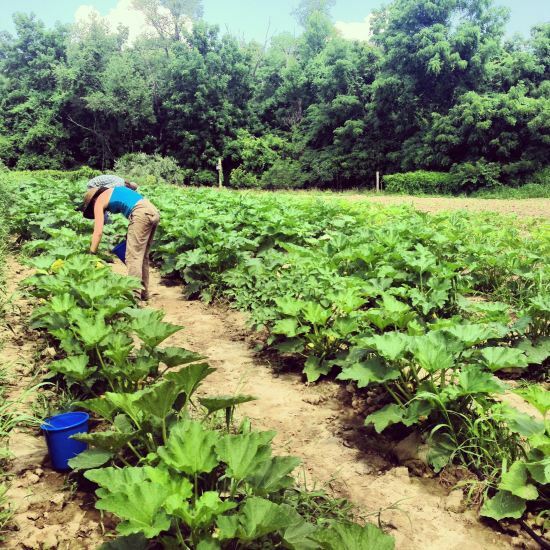 Read the full story via Ways to Support the Local Foods Movement – Organic Gardening – MOTHER EARTH NEWS.